Suggested Use: 4 softgels as directed by your healthcare practitioner. 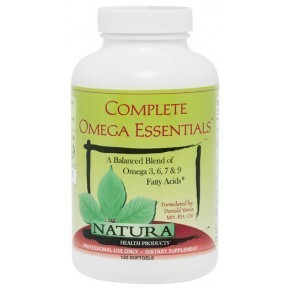 Fish Oil Concentrate, Borage Seed Oil, Sea Buckthorn (Hippophae rhamnoides) Berry Ext. Other Ingredients: Softgel shell (fish gelatin, glycerin, purified water), Vitamin E (as mixed tocopherols). Contains fish (anchovy, sardine, mackerel, tilapia) and non-GMO soy. Warning: Refrigerate after opening. Protect from heat, light, and moisture.